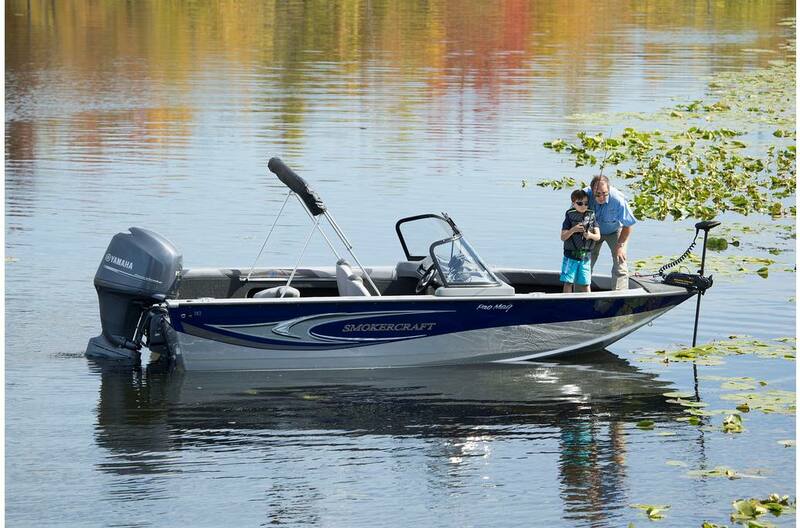 Looking for a pro-style fishing boat that’s easy on your budget? 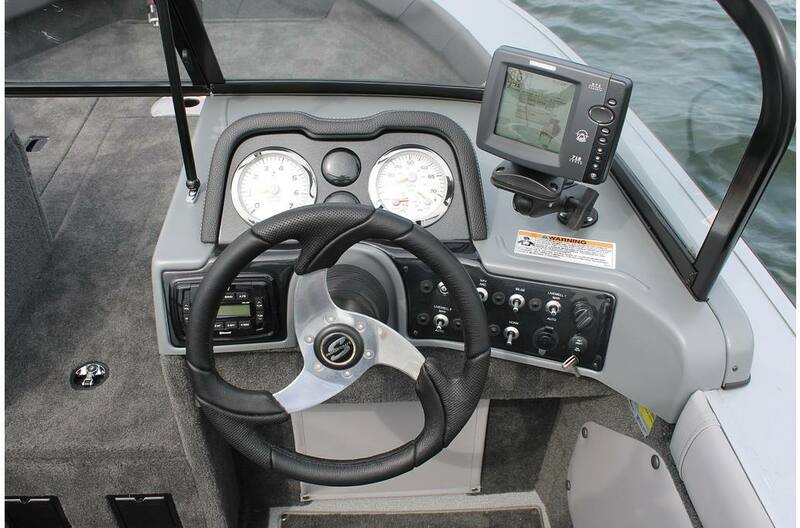 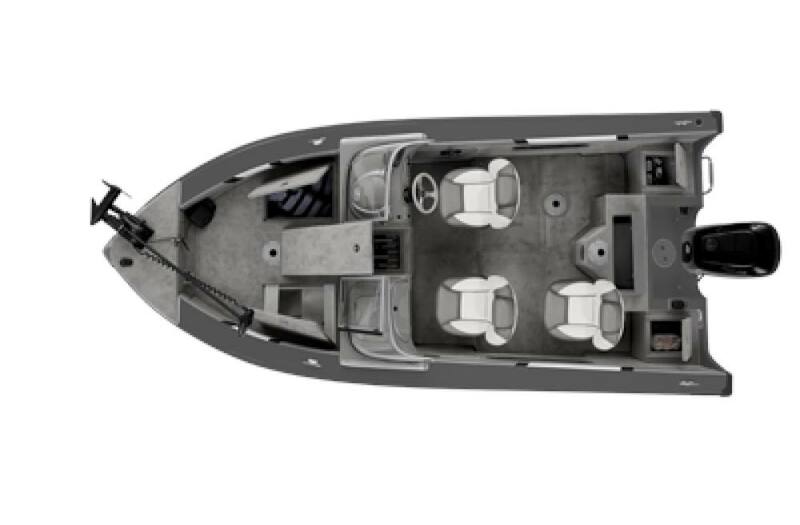 The Pro Mag 182 by Smoker Craft is designed to give you everything you need for serious fishing, starting with hydraulic steering and a deluxe vinyl wrap console that features chrome accented, tach, and multi-function, plus a compass. 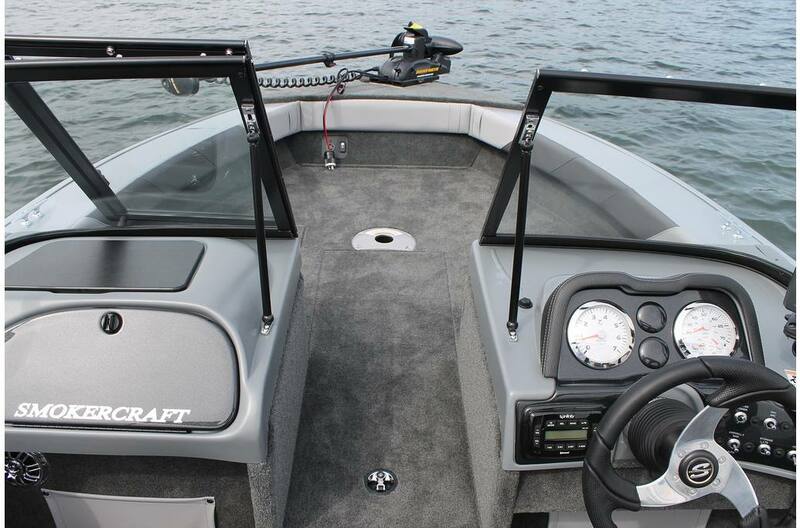 Huge aerated livewells protect your catch: 26-gallons, stern; 18-gallons, bow. 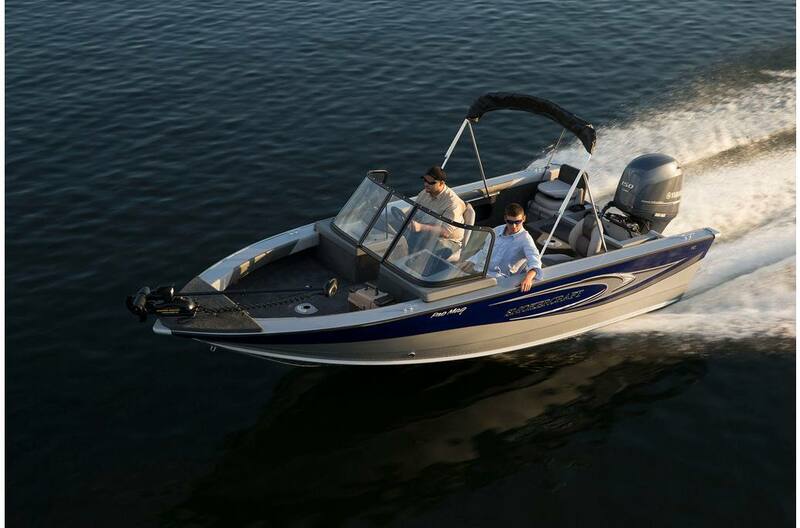 Plus you’ll love the walk-thru casting platform, the fold down rear jump-seat and the ergonomic, wood-free deluxe fishing seats — with the versatility of 6 seat bases.